I have the privilege of teaching the Enneagram in the Narrative Tradition, following students in our certification tracks as they complete their internships, and witnessing their final interviews. I do not use the word privilege lightly. I am inspired by the diligence and growth that I witness during this process. To watch their wisdom and embodiment grow professionally and in their personal lives is astonishing. In 2017, we certified nine teachers and professionals through our Expanded Enneagram Professional Training Program (EPTP). This year we celebrate the 30th anniversary of the EPTP, created by Helen Palmer and David Daniels, MD, in 1988 to train and certify Enneagram Teachers in the Narrative Tradition. During the past 30 years, more than 3,000 participants have attended the EPTP in 17 countries worldwide, and more than 1000 have become Certified Enneagram Teachers. So glad to see NC and SC getting more Enneagram teachers. 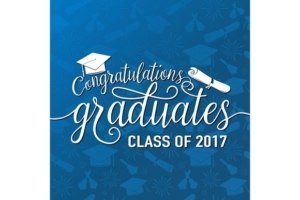 Congratulations all the graduates from everywhere. Congratulation, Allen, on the acknowledgement you have been awarded as a very qualified teacher in the Narrative Tradition of the Enneagram. I am particularly grateful for the weekly groups you have led where we learn not only from texts, but also from the safety of our group where we share our everyday happenings and from these real life examples, learn more about our own number but also about that of the other group members. I appreciate the way you weave your knowledge of spirituality, world religions, history, psychology and so much more into our questions, making the Enneagram so relevant and understandable. Thanks, Allen, from a very grateful group member. Congratulations on officially becoming a qualified Enneagram Teacher. Bravo to all- especially Allen Zeesman, Enneagram Instructor Extraordinaire!!!! Thank you for your good job and support. I’m grateful for being a part of EPTP. Congratulations to all new graduates, and welcome to the professional Enneagram community! I completed my certification back in 2012 and I’m now serving on the board of the International Enneagram Association’s newest chapter: Greater Washington DC. Please visit our website http://www.gwiea.org for more about us. And for those of you nearby please send us an email. We’d love to connect with you!